Are you still taking those frayed old OS maps out on the hill? Ever find yourself not quite lost, but momentarily misplaced and wishing you had some way of pinpointing your exact location? It could be time to bring your nav skills into the 21st century. This skills guide was first published on UKHillwalking.com. Technology can be a great help in the mountains, but it can also go wrong. Never depend entirely on GPS or a smartphone – always have paper map and compass with you, and most importantly of all know how to use them. Regularly refreshing your nav skills isn’t a bad idea either. Despite advances in digital technology, map and compass are still the foundations for safe and efficient mountain navigation – it’s a tried-and-true system that hillwalkers have depended on for decades. However, many new tools are available that can enhance navigation and planning, make things easier, or just add a different perspective. This is not about replacing map and compass, but adding new techniques to improve your navigation. Most of these tools are digital at some level, but updating your nav methods isn’t just about software and gadgets. Recent developments have revolutionised paper mapping too. So if you’re still relying on an old collection of increasingly dog-eared and threadbare OS maps, it could be time to consider something new. Printing your own maps has been possible for years, but the launch of a new service from the Ordnance Survey made the process a lot easier. In exchange for a modest annual subscription, the OS gives you access to full digital mapping for the whole of the UK at 1:50,000 and 1:25,000 scale – and you can print off as many maps as you like from the comfort of your own home. The maps you print are perfectly to scale and your inkjet printer is capable of quality almost as good as a shop-bought map. What are the benefits of home-printing? Unless you already have all the maps you need, it can work out much cheaper. A standard OS map costs roughly £8.99, while the OS Maps subscription service – which allows you to print as many maps as you need – is only £19.99 a year as I write this. 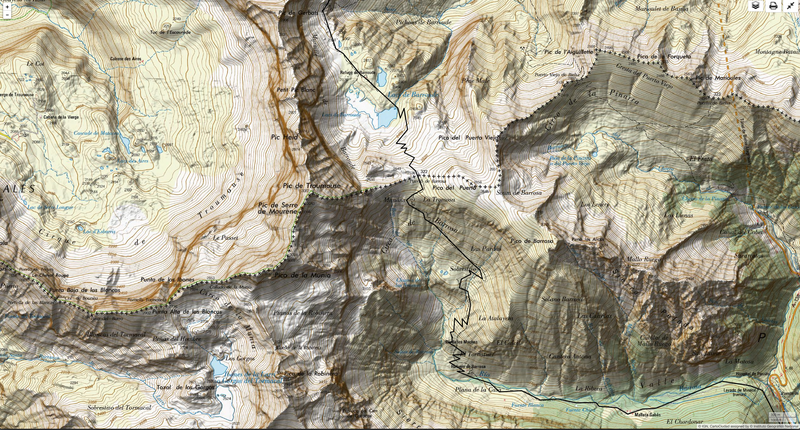 Printing your own maps allows you to bring only the map coverage you need on the hill. Although catering for unexpected route changes is always a good idea, standard OS maps are bulky, and much of that bulk is often not needed. For a day’s hillwalking, a single A4 sheet may be all you need. This advantage is magnified if you’re going on a long-distance trail. Standard OS maps covering a big route could add a lot of bulk and weight to your pack. A sheaf of home-printed maps on double-sided A4 is much more svelte. It’s easy to laminate your printed maps for waterproofing. Laminated map sheets are also stiffer and easier to handle. I usually fold them in half and shove them in a chest pocket. Alternatively, it’s possible to print directly onto waterproof paper. Because home-printed maps are effectively disposable, you can scribble on them, cut them to size, give them away, print out extra copies for friends / family / walking buddies, and do other potentially destructive things you might not fancy doing to your shop-bought map. And unless you laminate your maps, they are recyclable after you’re finished with them. 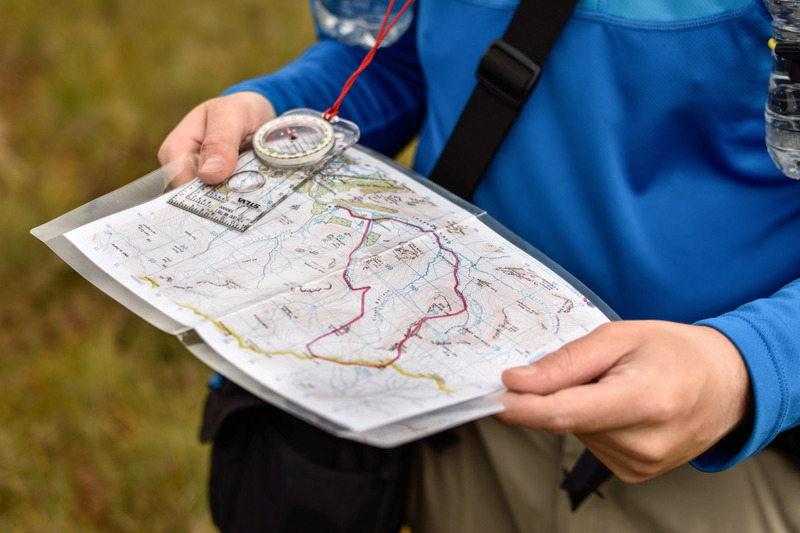 If you mainly go walking in one or two areas and are careful with your maps, it can still be more cost effective to keep using traditional map sheets. For navigation with a compass, printing to the right scale is critical. Unfortunately, OS Maps doesn’t enable this by default; when you go to print a map, the preseleted option is ‘fit map to page’, which will give you an unpredictable scale. It’s very important to change it to ‘print map to scale’ before printing. Other services may not allow you to print to exact scale. For example, both ViewRanger and Garmin BaseCamp support map printing, but you have no control over the scale you get on paper. Most people only have access to an A4 printer. While an A4 sheet of 1:50,000 mapping gives you a decent area to play with, it’s much more difficult to print out a broad, uninterrupted sheet to get an overview of an entire area. I’m a convert to printing out my own maps. Whether you use the relatively new OS Maps service or one of the more established players like Memory Map, there are many benefits and few drawbacks. Do not use Google Maps for planning your walks! A suitable tool for walk planning will let you access topographic maps, usually Ordnance Survey mapping for UK use. If you’re anything like me, planning a foray into the hills can be almost as much fun as the walk itself. While many walkers have embraced digital tools for planning, many others prefer to do it on paper. I can understand that point of view. Drafting a route requires creative thinking, and paper can spark creativity in a way that pixels just don’t. If that description applies to you, then it is high time you started printing your own maps – no more worrying about ruining expensive Landranger or Explorer sheets! On the other hand, digital planning tools are very powerful. Here’s why you should consider on-screen planning if you haven’t tried it before. I do all my UK walk planning on the Ordnance Survey web app. My OS Maps subscription gives me access not only to as many printed maps as I can use, but also complete digital mapping of the entire country at 1:50,000 and 1:25,000 scales. It’s easy to pan to and fro, zoom in and out, and after a bit of practice it feels just like you’re manipulating an infinite map sheet. You can also ‘draw’ on the map by creating a new route. There’s even an option to automatically snap routes to known paths within national parks, although fortunately it’s easy to switch this feature off – while it could be very useful for beginners, more experienced navigators will want total freedom. 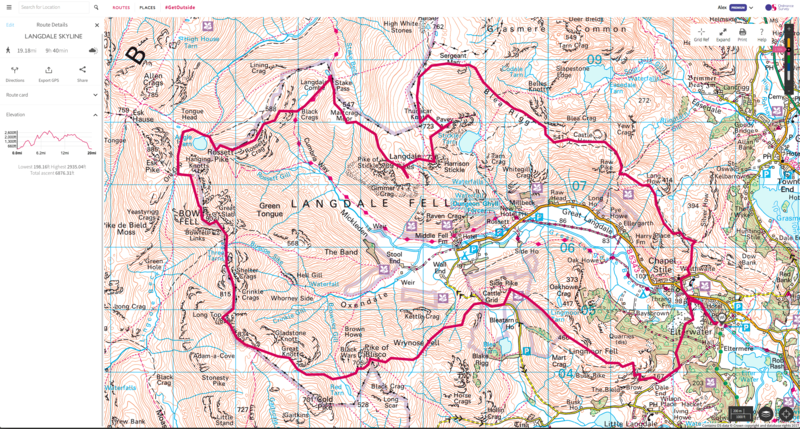 Left: Printing a map in OS Maps – ensure ‘Print map to scale’ is checked! The app gives you a huge amount of information about your route: total distance, elevation with a handy elevation graph, even estimated walking time (although this is often very optimistic). You can change the colour and opacity of the drawn line, and when it comes to print out your map with route included, you can print out an automatic ‘route card’ with key waypoints in place. Routes can be saved for later use in a library on your account. Digital navigation stalwart ViewRanger has a web app too. It’s less visually appealing than OS Maps although it certainly gets the job done. 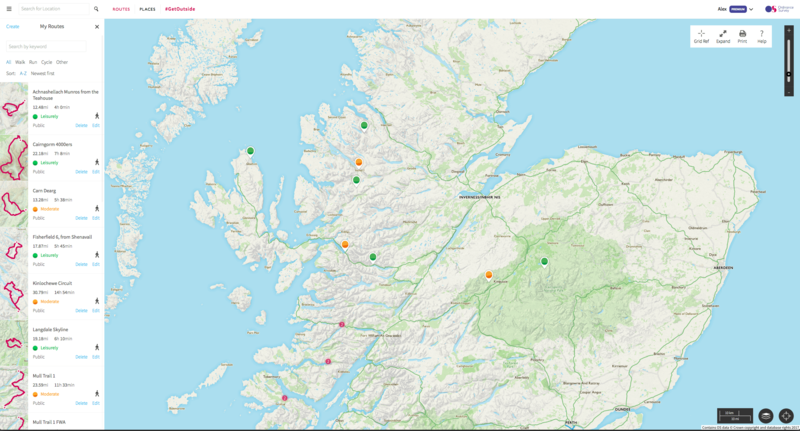 One benefit is that you can now use selected Harvey maps within ViewRanger. Note that you cannot print to-scale maps from this service. For international trips, especially in the USA, Gaia GPS currently has the edge. While maps for many destinations abroad are available for purchase through ViewRanger, Gaia’s maps are often more up to date, of better quality, and sometimes work out cheaper too. Gaia has recently switched to a subscription model – GaiaPro, which for $39.99 a year gives you unlimited access to National Geographic Trails Illustrated, a variety of high-quality European maps including IGN and SwissTopo, US hunting maps, specialised overlays, and more. For trek planning abroad, Gaia is worth serious consideration – I’ve found it excellent. Don’t forget UKHillwalking’s Route Cards service. With a searchable directory of routes, and fast, interactive OS mapping built in, it’s a great way to get an overview of a route if you’d prefer not to plan a new one yourself. WalkHighlands is also excellent. A free online service that’s suitable for very basic use is streetmap.co.uk. 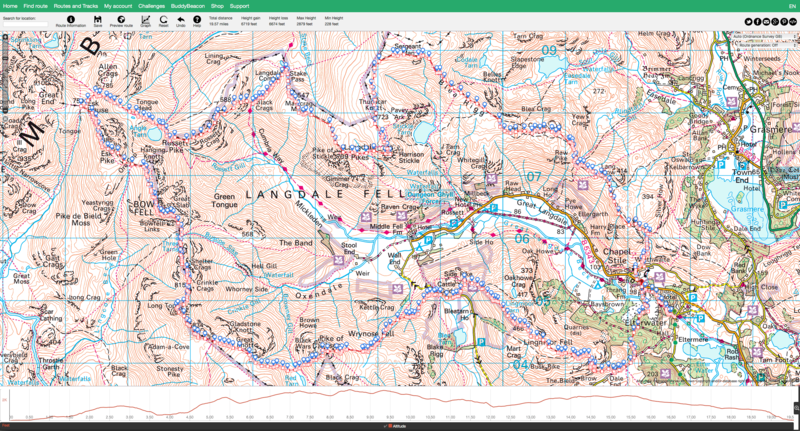 This website displays OS maps at various scales onscreen, and while you can’t plan routes on it directly, you can print from it (important note: these maps won’t be to scale). Honourable mention must also go to Memory Map, Anquet, and Garmin BaseCamp. The latter is best if you use a Garmin GPS handset. 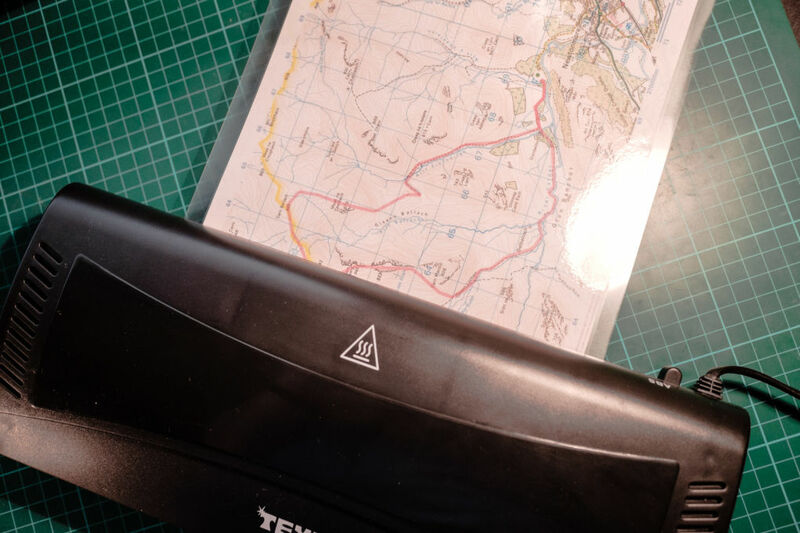 If you’re using a printing service, now is the time to print out your map sheets with the marked route in place. Don’t forget to print out a good margin of map on all sides of your planned route, to allow for changes of plan. Try to think ahead – take into account contingency plans, foul-weather alternatives and escape routes. Most services let you export your route as a GPX (GPS exchange format) file. Virtually any navigation app or GPS handset can read these files, making it easy to mix and match the services and devices you prefer to use. Want to plan your route on OS Maps but navigate with ViewRanger, or even a Garmin eTrex? It’s easily done by sharing a GPX file. While traditional nav skills remain important, GPS and smartphones are here to stay. Here’s how you can make use of them. With a few important exceptions we’ll come to in a moment, a smartphone is the best platform for digital navigation on the hill. You probably already have one in your pocket, and with the addition of a few well-chosen apps it transforms into a highly capable navigation tool, ready to supplement your map and compass. Don’t underestimate your smartphone’s capabilities. It’s a common misconception that smartphone GPS is somehow inferior to that of a ‘proper’ GPS, or that it only works when you have signal. The truth is that while smartphones usually have smaller antennas than a GPS handset, there’s no difference to the underlying technology. Your smartphone will work for nav if you have no phone signal. Almost any recent iPhone or Android phone will do the job, but for best results look for a nice big screen, long battery life, and – ideally – a waterproof design. For the mountain navigator, there’s no practical difference between iPhone and Android. If your phone isn’t waterproof, consider investing in a waterproof case. Another tactic is to get an ordinary rubber bumper case and pop it inside a clear sandwich bag if it rains. This works surprisingly well for short periods. For multi-day trips, you’ll need a mobile powerbank (something with a capacity of roughly 8,000mAh – 16,000mAh is ideal for a few nights out). Lightweight solar panels are available but rarely practical in UK conditions. There are many low-quality free apps available that look ok at first glance, but which require a data connection to display mapping. These are useless for mountain navigation. The apps I recommend all work when offline (if used correctly). You may want to use the same app you used for planning your route. 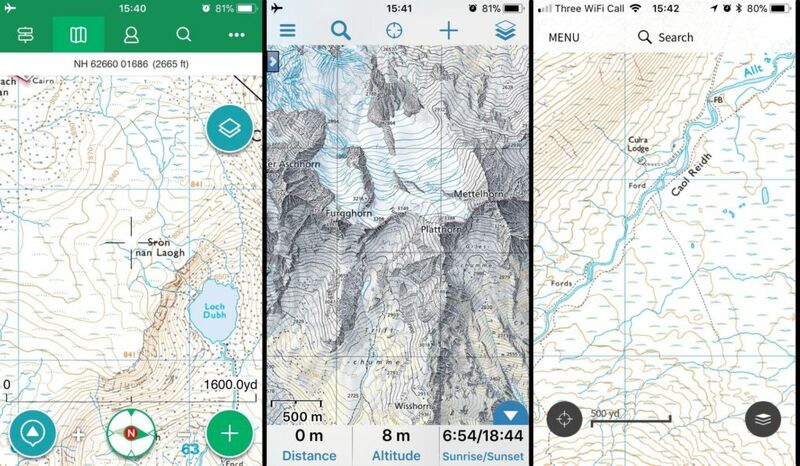 If you do your planning in OS Maps, for example, it makes sense to download the OS Maps app onto your phone – although to get the precise blend of features you want it may be better to use a combination of services. Here’s a quick overview of the best options. ViewRanger. The power user’s nav app, with more features than you can shake a stick at but a steeper learning curve. Features include ‘SkyLine’ augmented reality mode (occasionally handy for identifying nearby landmarks) and excellent support for smartwatches such as the Apple Watch. OS Maps. Pairs with the web service of the same name and gives subscribers unlimited access to digital mapping. You can save areas for offline use and download digital copies of purchased paper maps. Easier to use than ViewRanger but with interface quirks some find frustrating. Gaia GPS. The gold standard for international digital mapping, and on par with ViewRanger in terms of features and flexibility. OS Locate. A simple app from the Ordnance Survey with readouts for grid location and a digital compass. Very useful for quick position checks or backup/emergency use. Always make sure you have downloaded all the necessary data onto your device before heading onto the hill. That means offline maps, plus waypoints and your route if required. Engage airplane or flight mode on your device. This stops the phone from searching for mobile signal and will dramatically extend battery life. With airplane mode engaged, you’ll be hard pressed to drain a modern smartphone’s battery in a day on the hill. Deactivating other features such as background app refresh will help a bit, but engaging airplane mode is the big one. Note that recording a GPS track on your phone will drain the battery more quickly. In sub-zero conditions, keep your phone warm by stashing it in an inner pocket. Touchscreen-compatible gloves are useful but can feel clumsy to use. In the worst weather a handheld GPS may be a better choice (see next section). Try to avoid blindly following a pre-planned route on the screen. While planning is useful, it’s easy to get tunnel vision if all you ever do is follow the red arrow in ViewRanger. Instead, try using your smartphone for quick position checks while navigating with paper map and compass – this can speed things up and reduce uncertainty while keeping your existing nav skills sharp. While I’ve found ViewRanger in particular very accurate and reliable, software is software. You might come across bugs, crashes and other issues. GPS is occasionally switched off entirely by the powers that be. ’Trust your compass’ is worthwhile advice but I wouldn’t advise trusting a smartphone app if your instincts are telling you it’s wrong. Your map and compass should be the foundation upon which other navigational techniques are built, not the other way around. Last but not least, there’s very little reason not to have a nav utility installed on your phone. Even if you keep your phone switched off when out walking, there’s some peace of mind knowing that you can launch an app and improve your safety margin if need be. 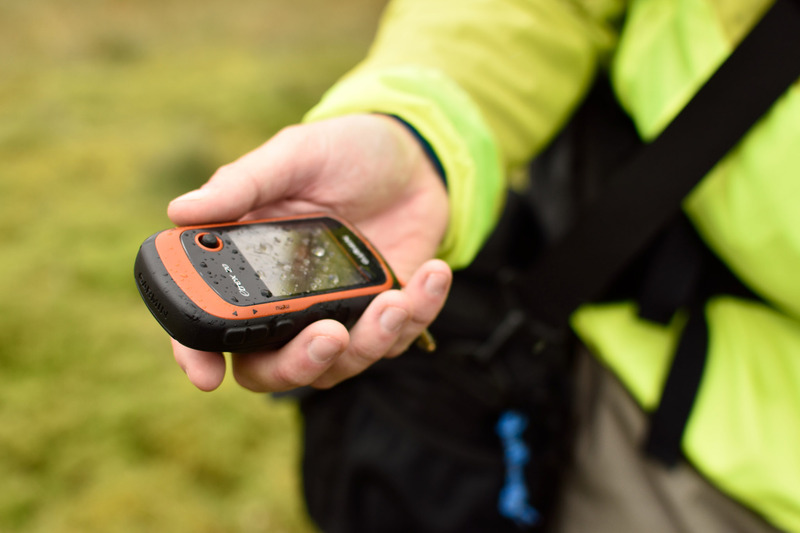 While basic dedicated handsets such as the Garmin eTrex 10 are still worth considering if you just want a rugged device for occasional position checks, logging GPS tracks or for emergency/backup use, nowadays such devices are a tougher sell when most of us carry a far more capable smartphone. One area where a dedicated GPS handset has a clear advantage is in winter, when you’ll be navigating in very cold/wet temperatures and wearing gloves. Even modern waterproof smartphones can suffer in the cold. It isn’t uncommon for them to shut down entirely when it gets below freezing, and most modern phones don’t have replaceable batteries. But many GPS handsets will accept AA batteries, and that means the option of Lithium cells for better battery life and resistance to freezing. It’s also much easier to use a chunky unit with buttons when you’re wearing gloves. 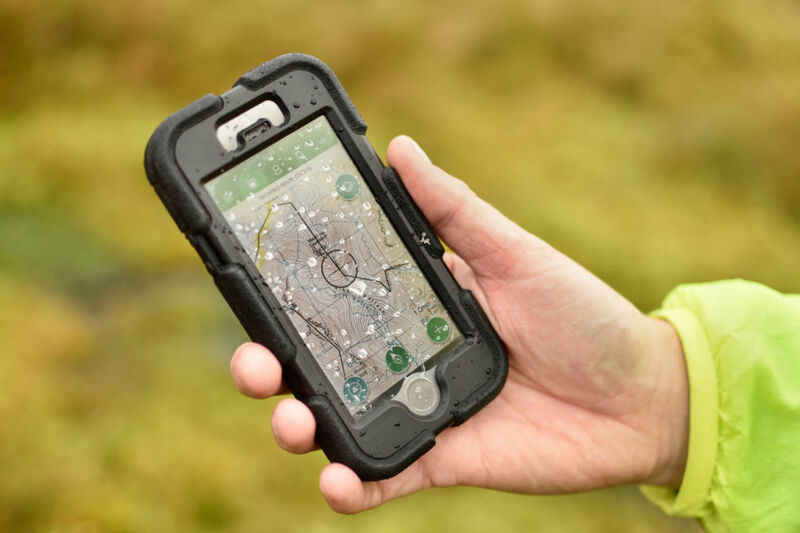 While most people will be happy with a smartphone for summer use, a dedicated mapping GPS handset makes sense if you need rugged reliability in the very worst mountain weather, coupled with marathon battery life. Look for a waterproof, shockproof device that will accept AA cells and can be controlled entirely with buttons. Just a few ideas to spark your imagination! The hill fog is down, you’re tired and cold, and you’d like to get back to the car. Maybe you’ve been a bit slack with counting paces or compass bearings, and there’s a big drop just ahead of you. Now would be a great time to pinpoint your exact location. A mapping app like ViewRanger or OS Maps will give you the reassurance of your position on the map straight away. You love keeping lists and statistics about your adventures. A recorded GPS log will tell you how far you walked, how long it took you, your average speed, total ascent, and much more. Great for recording in your logbook or posting on your blog. The dedicated data logger will be best served by an advanced app such as ViewRanger or a basic GPS handset. You like to be prepared. Compasses can break, maps can blow away, or you might need to give a grid reference under pressure if calling out Mountain Rescue for a casualty. For backup or emergency use, OS Locate or a basic GPS handset are all you really need, although a mapping app like ViewRanger or OS Maps will give you the tools to get down off the hill in a major navigation SNAFU. Header image © James Roddie. Unless otherwise specified, all other images © Alex Roddie. All Rights Reserved.